It is hard to believe, but the PGA Tour is already in the fifth week of its new wrap-around season. The early tournaments have seen some worthy winners with Brendan Steele, Pat Perez, Justin Thomas, Justin Rose, and Ryan Armour all making bold moves towards a banner 2017-18 season. 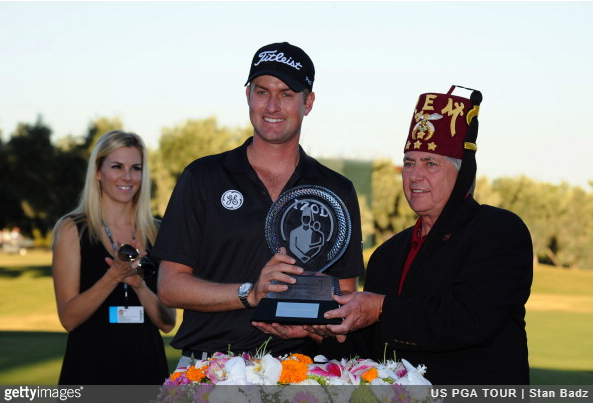 Now, the Tour reaches its annual stop in Las Vegas for the Shriners Hospitals for Children Open. It is a bit of a difficult spot in the schedule: most of the best PGA Tour players are recovering after a hectic 2016-17 season and a three-week swing in Asia, while the best of the best who make their living primarily in Europe are in Turkey for the opening leg of the European Tour’s Race to Dubai playoffs. 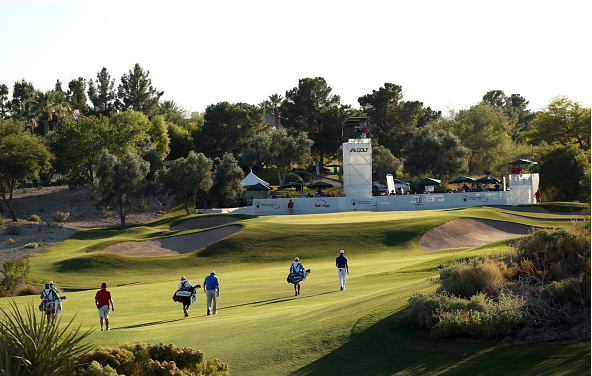 What TPC Summerlin, the host course of the Shriners Hospitals for Children Open, has, however, is an unheralded and extremely motivated group of Tour players looking to hit the jackpot in the Land of Chance. Among the notables include Bubba Watson, Jimmy Walker, Webb Simpson, Tony Finau, Charley Hoffman, Kevin Chappell, Ryan Moore, and Patrick Cantlay. Golf is the ultimate game of skill, but the talented field will still be praying that Lady Luck will look favorably upon them this week, as they attempt to be 2017’s latest success story. The PGA Tour’s yearly excursion in Las Vegas once had a reputation for big payouts, as the event once drew impressive fields by offering one of the largest purses on Tour. 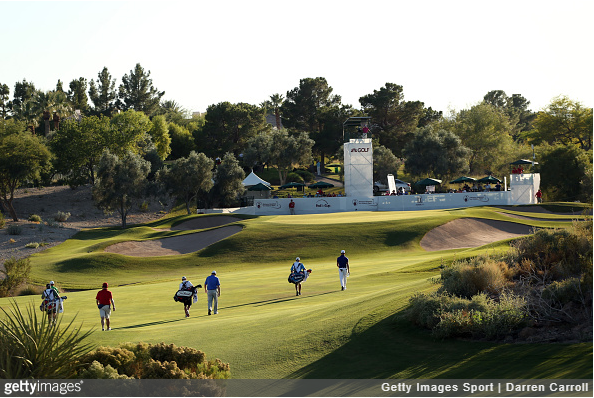 First teeing off in 1983, the Shriners Hospitals for Children Open has the distinction of being the first tournament to offer a purse in excess of $1 million, which it did in just its second season. Starting as a five-round tournament, the inaugural 1983 event was won by ten-time PGA Tour winner Fuzzy Zoeller. 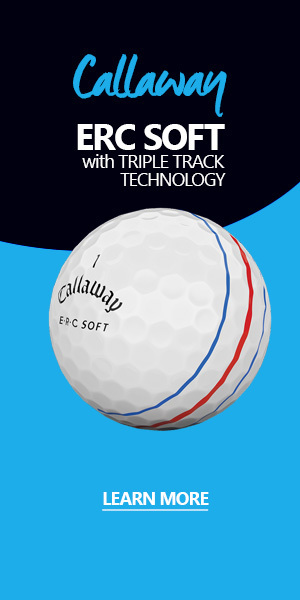 Over the years, notable winners of the event include Curtis Strange, Greg Norman, Paul Azinger, Davis Love III, Bob Tway, and Jim Furyk, with Furyk (three wins) being the only player to win the tournament multiple times. Perhaps its most notable winner, however, was Tiger Woods, who won notched victory No. 1 of his illustrious 79-win career in this tournament in 1996, when he defeated Davis Love III in a playoff as a 20-year-old. 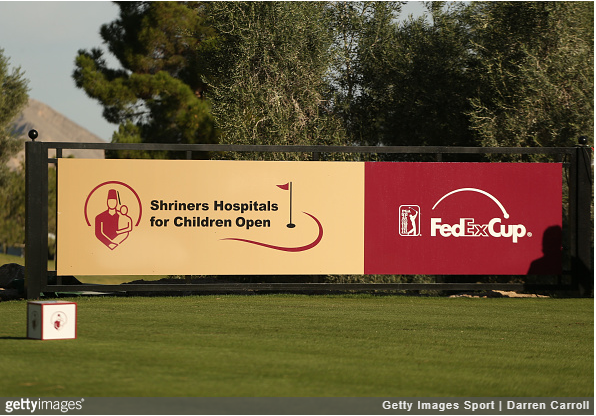 The Shriners Hospitals for Children Open has always been held in the Las Vegas area, originally rotating between several area courses, before settling on TPC Summerlin as the permanent host venue in 2008. From 2008-2012, the tournament was notable for including the name of superstar entertainer Justin Timberlake in its title. 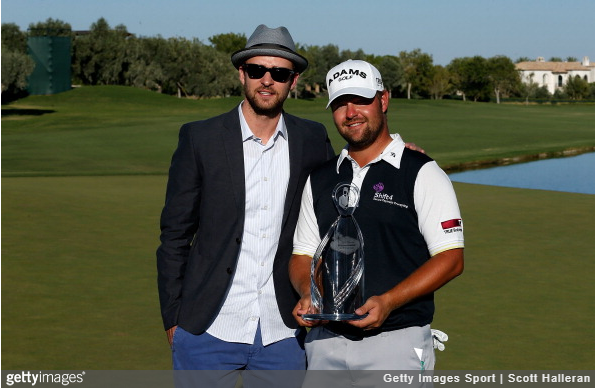 Timberlake, an avid golf fan, was a tournament sponsor and host during that time. 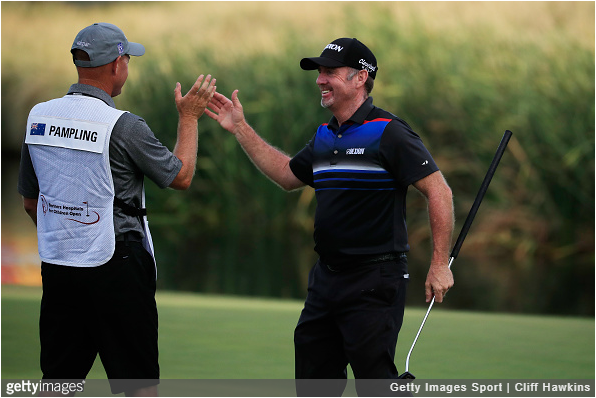 The defending champion of the Shriners Hospitals for Children Open is Rod Pampling. After nearly shooting a 59 in the first round, Pampling stayed near the lead and came into the final round one stroke back of Lucas Glover. A hot back-nine from the then 47-year-old Pampling led to a final round 6-under 65 and a two stroke victory over Brooks Koepka. It was Pampling’s first victory in eight years. LOW SCORE: 260 (-24) – Ryan Moore (2012); Webb Simpson (2013). 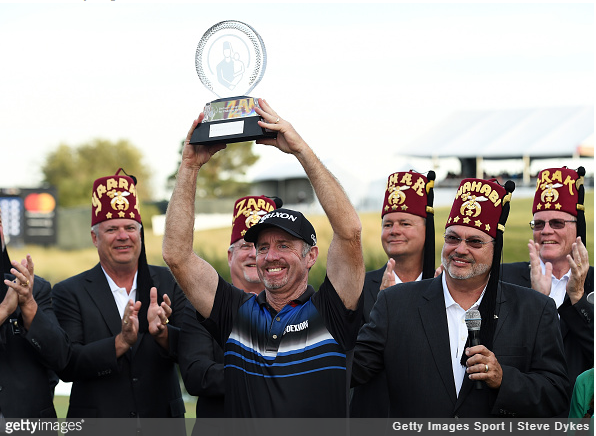 Rod Pampling’s victory in last year’s Shriners Hospitals for Children Open was perhaps the most improbable win in the 2016-17 Tour season. Pampling came into the tournament in very poor form, winless in eight years, and just struggling to acquire and keep status on Tour. One year later, it looks even more improbable now than it did then. The victory came at the perfect time for Pampling. He was 47, and the two-year exemption he was awarded will cover him until he reaches 50 and then has Champions Tour eligibility. He took full advantage of the exemption in 2017, entering many tournaments that he otherwise would not have been able to get into. Unfortunately for Pampling, he did very little in those tournaments. In his first tournament after his Vegas victory, Pampling finished T17 at the SBS Tournament of Champions, an event with a 32-man field. From there, a T26 at the RBC Heritage was his only finish inside the top 40. Statistically, he was poor, as he finished 174th on Tour in scoring average, 178th in birdie average, and he was abysmal on the greens, finishing 187th in strokes gained: putting. The victory made his season, but he obviously would have liked to have finished the year much better. This will be Pampling’s third event of the new season. 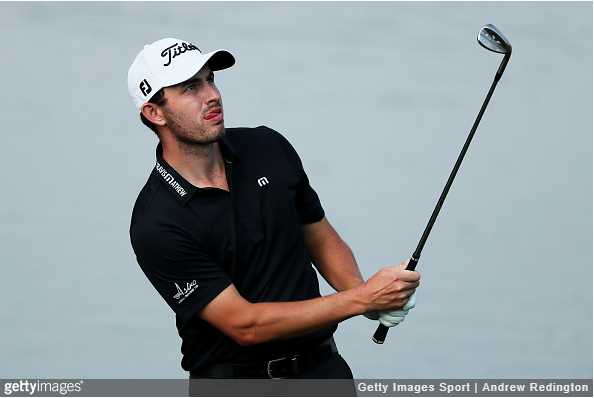 He finished T69 out of 78 golfers at the no-cut CIMB Classic in Malaysia. The following week at the CJ Cup at Nine Bridges, another 78-man field, Pampling got off to a great start with a 4-under 68 in round up, but followed that up by shooting 78-79-74 over the final three rounds, dropping him to a T61 finish. It seems very unlikely that he would be able to put it together again and contend in his Shriners defense, but he defied the odds last year; he is very motivated to defy them again. The Shriners Hospitals for Children Open has a surprising name in the field: 38-year-old and nine-time PGA Tour winner Bubba Watson. 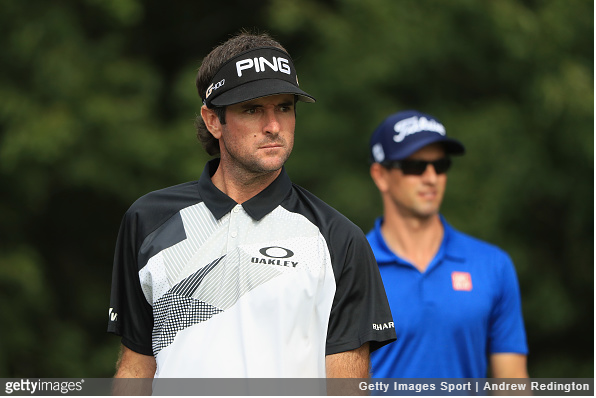 Going into the FedExCup Playoffs, which he qualified for in 113th place, easily his lowest starting playoff position ever, Bubba expressed how much he was looking forward to taking a long break, expected to be three or four months, once his playoffs were over. He played very well in the first leg of the playoffs, finishing T10 to play his way into the Dell Technologies Championship in Boston. 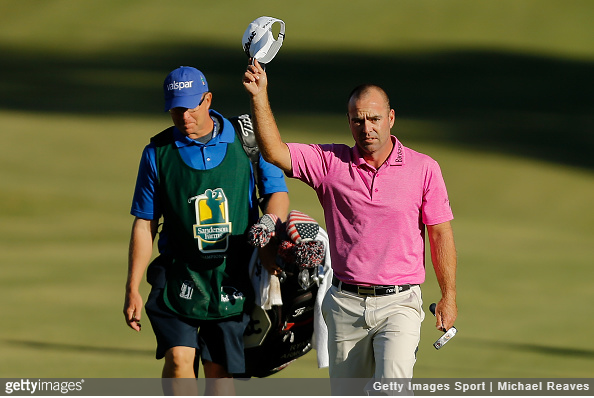 At TPC Boston, he was eliminated from the playoffs after a T69 finish. Just two months later, however, Bubba is back. 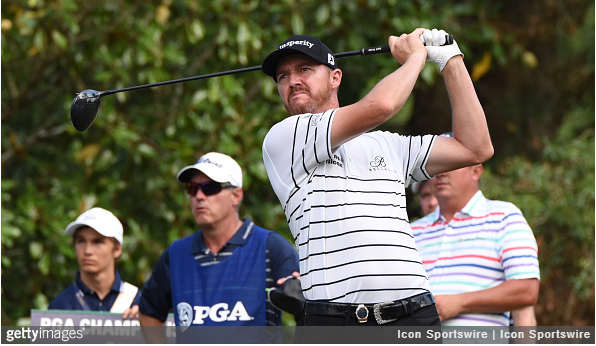 He has not played this tournament since 2007, but after the tragic mass shooting that happened in Las Vegas in October, Watson decided to support the community by committing to play. While it is surprising to see him playing again so soon, his motivations are not surprising, as he has a well-earned reputation for being one of the most charitable players on Tour. Bubba might be the highest-profile player in the TPC Summerlin field, but his recent form leaves a bit to be desired. As a two-time major champion, Watson has become one of the Tour’s best players, but for most of 2017, he did not play like it. The T10 at The Northern Trust, the first leg of the FedExCup playoffs, broke him out of a slump where he had not posted a top 10 since The Memorial in early June. He missed the cut in three of four majors and his $1.2 million in earnings was his lowest amount since his rookie season of 2006. 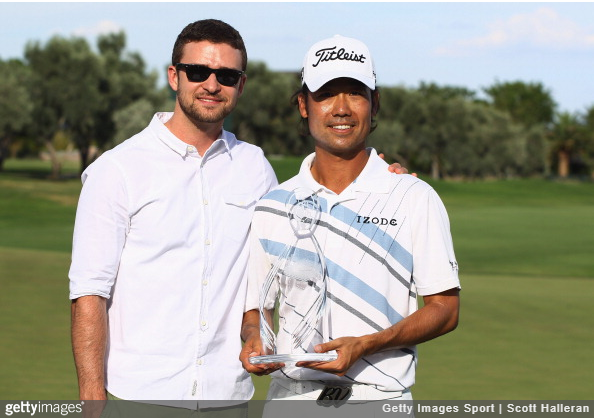 He rarely looked like the man who had won five tournaments over his previous three seasons. All that being said, it was not all bad in 2017 for Bubba. He is still one of the Tour’s elites with a driver in his hands, where he finished 8th in strokes gained: off-the-tee, and a very respectable 20th in driving distance. Unfortunately, while he consistently put himself in good positions after his drives, his usually reliable approach game let him down badly. Bubba finished inside the top 25 in greens in regulation in each year from 2010-2016, reaching as high as No. 2 in 2012, but it was a different story in 2017, where he finished a dismal 161st, and he further compacted his troubles with a below average short game. Watson is just 38, though, and it would surprise nobody to see him regain his spot among the upper echelon of the PGA Tour. With likely the weakest field he will see all season, Las Vegas is a tremendous opportunity to get back on track. 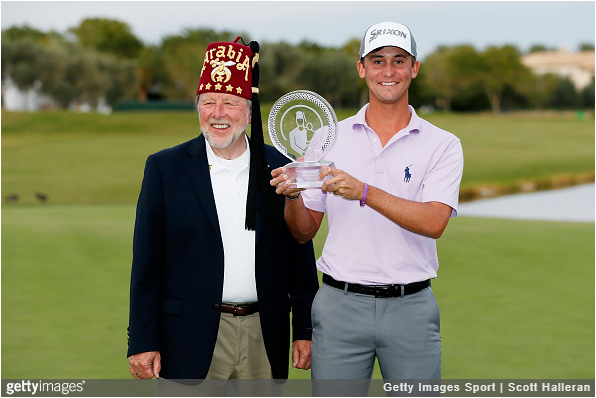 While the Shriners Hospitals for Children Open might lack the star power of many PGA tournaments, what it does have is an impressive group of recent event champions who have proven ability to compete in big tournaments. The 2017 season was a huge disappointment for former UNLV star Ryan Moore. The 2012 Vegas champion was unable to parlay momentum from a hot 2016 finish into better things. Moore had just two top 10s on the season, but one of his best outings on the season was at the Shriners, where he finished T15 and shot in the 60s in all four rounds. A T4 at last week’s Sanderson Farms Championship was a desperately-needed high finish for Smylie Kaufman, who was terrible in 2017, missing 14 of 26 cuts and notching just one top 10. Kaufman shot a final-round 61 in his 2015 Shriners win, but was unable to replicate that performance in his title defense last year, finishing T72 and posting just one round under par. After establishing himself as one of the best players on Tour from 2011-2014, a span where he won four times, including the 2012 U.S. Open, Webb Simpson, the 2013 winner in Las Vegas, saw his game sink considerably in 2015 and 2016. In the later parts of 2017, however, Simpson saw a resurgence. He has not missed a cut since early May, finished solo-third at the Wyndham Championship, and was a force in the FedExCup playoffs, finishing T13 or better in three of the four events. This will be Kevin Na’s fourth start of the new season. While he has yet to finish inside the top 30, the 2011 Shriners winner did have a few strong results late in the 2016-17 season, including a T4 at the Wyndham Championship and a T6 at the Dell Technologies Championship. Na missed the cut at TPC Summerlin last season after following up a first round 68 with a surprising second-round 75. 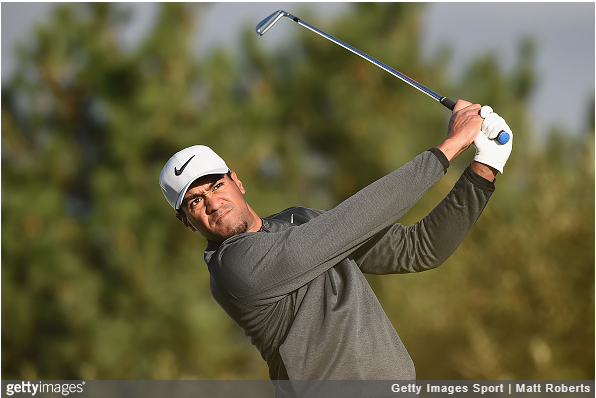 It has already been a busy new season for the 28-year-old bomber, Tony Finau, who finished runner-up at the season-opening Safeway Open. He is just one a small handful of players in the field who played at last week’s WGC-HSBC Champions in Shanghai, placing T11. Finau finished seventh on Tour in 2017 in both driving distance and birdie average. At No. 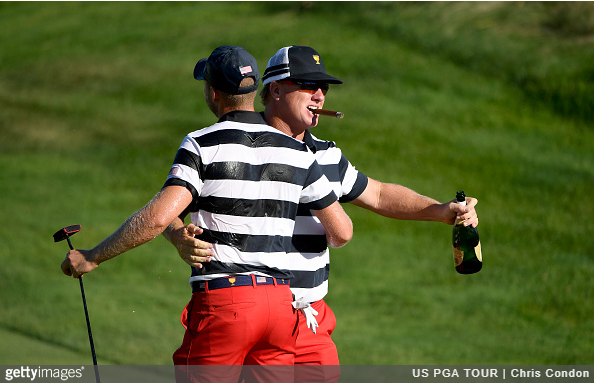 24 in the world, Charley Hoffman is the highest ranked player in the Shriners field. This will be the season debut for the 40-year-old Hoffman who is coming off arguably his best season as a tour professional, with two runner-ups and two third-place finishes. He could not keep his hot mid-late season form going in the FedExCup playoffs, but in his most recent action, he was a useful player for the winning American side at the President’s Cup. Last year’s 54-hole leader was not able to hold on and win his first tournament since 2011, but a solo-third place finish is a sign that he knows this course well. 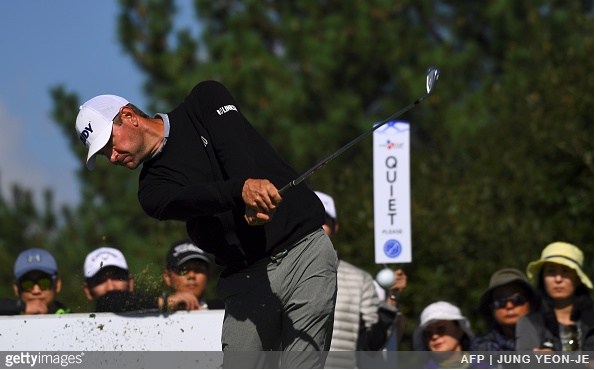 This is already the fifth tournament of the season for Lucas Glover, who like Finau, was in China last week for the WGC-HSBC Champions, where he finished in a tie for 50th. Statistically, Glover is one of the best tee-to-green players on Tour, although his results are mostly yet to reflect that. Perhaps the hottest player in the TPC Summerlin field is the 41-year-old Ryan Armour, who won his first career tournament just last week at the opposite-field Sanderson Farms Championship in Jackson, Mississippi. Armour had just one top 25 in 20 PGA Tour events in 2017, but kept his Tour card via a strong performance in the Web.com Tour finals. Now with last week’s victory, his Tour card is safe for the next two years. The 2017 season was something of a lost year for the 38-year-old Walker, who was playing his first season as a major champion after winning the 2016 PGA Championship. A T9 in January was the only top 10 on the season for Walker, who battled illness for much of 2017. This is the season debut for Walker, who missed the cut in Las Vegas last year, but has a number of good finishes here, including a T4 in 2015. The much anticipated rookie season of the former amateur star was a big success, as Cantlay made the cut in all 13 events he entered, including four top 10s. Despite just 13 starts, Cantlay played his way into the FedExCup playoff finale after impressive finishes of T10, T13, and T9 in the first three legs. The 25-year-old is looking for even greater results in the new season, and is undoubtedly among the most talented players in the Shriners field.